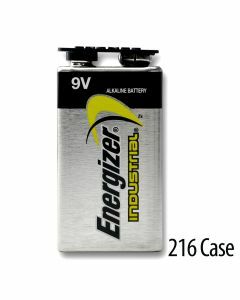 Despite the familiar Energizer casing, not all Energizer 9V alkaline batteries are the same. Energizer is one of the most trusted batteries in the business, but if your 9 volt alkaline batteries aren’t from a reputable distributor, you can’t really be sure they will keep going and going and going. Our Energizer 9V alkaline batteries are properly stored, date coded and guaranteed absolutely fresh to provide you with the same reliable, long-lasting, continuous power the batteries had when they left the Energizer factory. We’re proud to offer an extensive selection of 9 volt alkaline batteries, and our experienced customer service battery experts are always available to help you choose the perfect Energizer battery for your application.